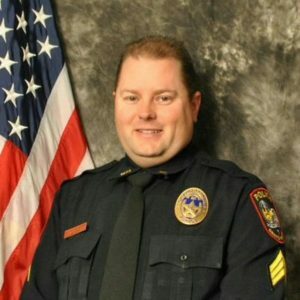 Nick Daugherty began his career with the Grand Prairie Police Department in 2003. He was a patrol officer, School Resource Officer serving on an underage alcohol and drug task force. In 2012 he promoted to the rank of Sergeant where he spent 2 ½ years as a patrol Sergeant, field training supervisor, and fleet coordinator before ending his full time sworn career as the criminal intelligence unit sergeant. He semi-retired in August of 2017 and now serves as a reserve officer for GPPD. At a young age Nick did a lot of stupid things with money partaking in “stupid tax” purchases (the art of buying toys that you can’t afford using plastic). Before he knew it, he had accumulated over $80,000 in consumer debt, most of which was wrapped up in car stereo equipment, cars, and just plain ole stuff. He was tired! Tired of being in debt, and tired from working so much overtime to keep afloat! He quickly realized that he needed to educate himself on personal finances and work to get out of hole he dug himself into. He was introduced to the Dave Ramsey show and became an avid listener, supporter, and believer of the Total Money Make Over Program. He worked over a thousand hours of overtime to get out of debt in 2003 and is currently working on “Baby Step #6”, longing for that day he pays off the house so he can scream out to the world “I’m debt free”!! A graduate and coordinator of Dave Ramsey’s Financial Peace University, he is also a certified Dave Ramsey master financial coach* and offers free one-on-one coaching to first responders in financial crisis. Nick is licensed with the State of Texas as an investment advisor representative (CRD#6697256) and manages $10’s of millions in retirement assets as well as being a licensed health and life insurance agent. Additionally, he has completed classes through Ken Zahn’s Certified Financial Planning professional education program and is working towards becoming a Certified Financial Planner. 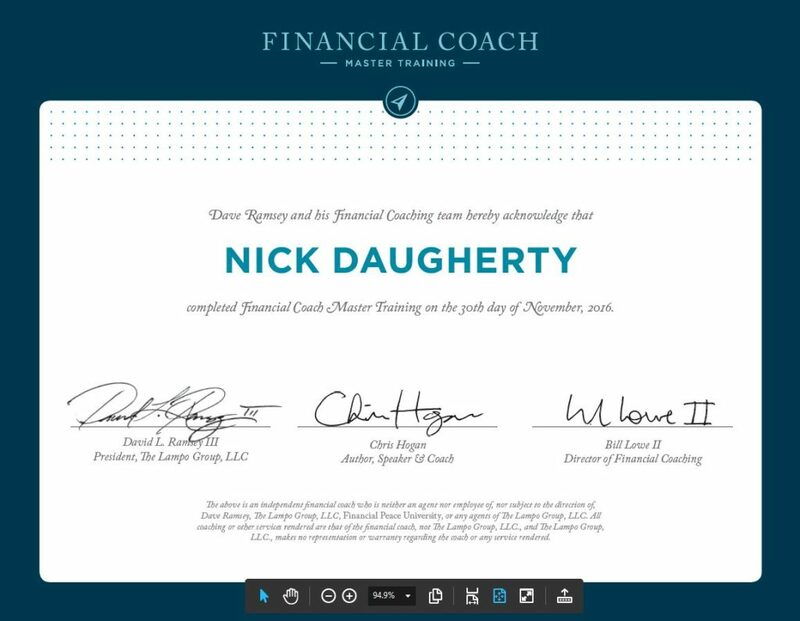 *Completion of Dave Ramsey’s Financial Coach Master Training does not create an employment or agency relationship with Ramsey Solutions or its affiliates; it does not constitute an license or credentials to engage in legal, tax, accounting, investment, or other professional practice; nor does it constitute an endorsement or recommendation of the Coach by Dave Ramsey.